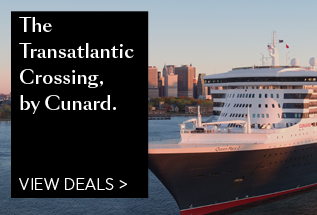 Cunard have been crossing the Atlantic, from Southampton to New York, since 1847, though nowadays it is only Queen Mary 2 who makes the journey. 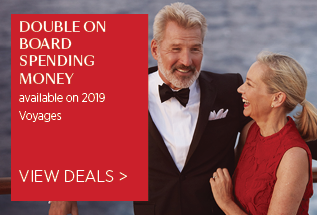 You can cruise to several destinations throughout the world with Cunard, including Asia, the Mediterranean and the Americas. Music is a key part of any Cunard cruise, from string quartets playing at afternoon tea, to pianists at pre-dinner drinks and live bands in public lounges. Other signature traits include traditional afternoon tea, served every day at 3.30pm by white-gloved wait staff; Gala Balls in the Queen’s Room (the largest ballroom at sea); Broadway-style shows; an award-winning cultural programme called Insights; and attentive White Star Service. For anyone looking for something extra special, Grill Suites are available on all three ships. Indulge with butler service, chocolate and champagne on arrival, and in-suite dining. The Cunard Line boasts three stylish liners – Queen Mary 2, the flagship and one of the most iconic ships in the world, Queen Victoria and Queen Elizabeth. The trio of liners are famed for their golden-era traditions, such as ballroom dancing and afternoon tea, and elegant surroundings. Excitingly, a new liner is set to join the fleet in 2022. The currently untitled fourth ship, will share her sisters’ iconic livery and red funnels - carrying up to 3,000 guests. Distinctive Cunard signatures and new experiences await on board and we look forward to sharing the exciting details. 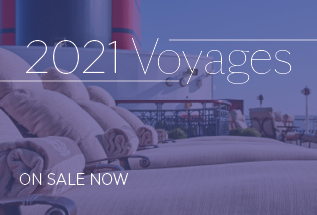 Not only is Cunard a unique experience, Queen Mary 2 is also a unique ship: today's only true ocean liner. Stronger, sleeker, smoother and swifter than a cruise ship. 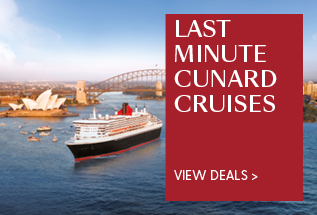 A link to a glorious past only Cunard can provide. Dining: Enjoy breakfast, lunch and dinner, as per your accomodation, in the Britannia, Britannia Club, Princess Grill or Queens Grill restaurants. Afternoon Tea: Enjoy a traditional Afternoon Tea - a signature Cunard experience of Twinings fine leaf teas, finger sandwiches and pastries - served daily. Daily Activities: Explore the extensive selection of daily activies including dance classes (taught by professional dance hosts), fencing, bridge lessons, competitions, quizzes, craft classes, and informative talks from the on board teams. Insights and enrichment: World renowned guest speakers offer informative talks on a range of topics as part of the Insights programme. Music and Theatre: Music is at the heart of every cruise, with a variety of live performances around the ship each day and evening.